Our vast array of portable audio offers a diverse range of wireless Bluetooth speakers, Hi-Fi systems, Megasound Hi-Fis, turntables and wireless Multiroom speakers (also known as Smart Sound speakers) from some of the leading audio specialists in their field. 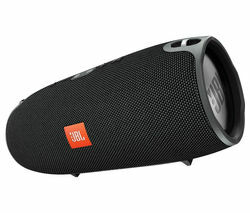 From Sonos and Bose to UE Boom and JBL, you'll find it here. 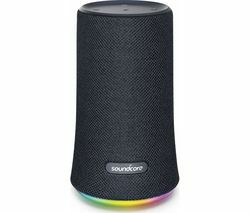 Giving you ultimate control over your music listening needs, our wireless speakers have numerous connection types, including WiFi over your home network, Bluetooth music streaming from your smart devices, or simple CD playback from your old favourites. Some even come with optical and HDMI connections so you can link up to your TV. Enjoy simple music streaming from either your own music library or from streaming services, like Spotify, Deezer, Apple Music and Google Play. Get a more future-proofed solution with Bluetooth pairing speakers, wireless speakers or wireless smart sound speakers (or multiroom speakers as they are also known). Your home audio system can grow with you, or enjoy music in your garden with a speaker connected to your home WiFi. Why not browse our waterproof speaker options for those garden parties, picnics and holidays away? Ranging from basic splash-proof speakers to totally waterproof models with IPX7 rating, they’re ideal for those wet British summer holidays.